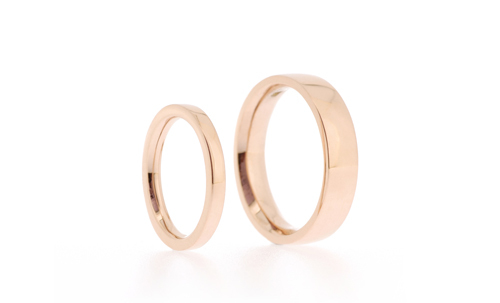 Many of you are unsure whether it is ok to choose a pair of wedding rings that are not identical. Well, there is actually no right answer – the choice is up to the both of you. Many people choose the same design for the bride and groom, but as you know we are made up of different shapes and sizes, so the same design, might not give the same results. 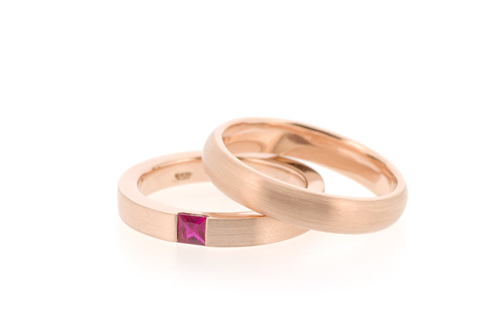 The same shape of ring, but a slimmer one for the lady to go in proportion to her finger size. Majority of you, choose to make matching bands, rather than identical. And matching is a term that gives you a lot more flexibility. Here are a few examples of how to show that you are a pair, without wearing the exact same ring. While using the same colour, this couple chose designs that suit their respective size and taste. 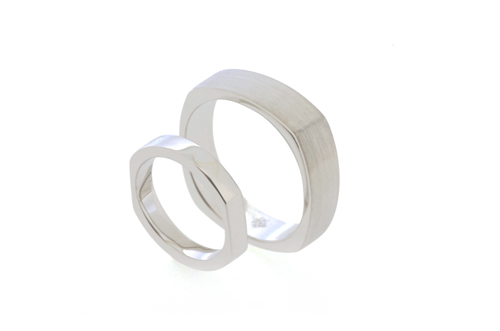 His works well as a contemporary statement ring with matte finish. Hers borrows the same element of round squarishness, but made to be worn together with her Diamond engagement ring. Matching colour and finishing, but with different shapes. The lady’s band required square edges to fit the Princess cut Ruby. He chose a rounded band which he thought looked better on his finger. This couple chose to make their rings in an overall same shape, but with Diamonds for her. 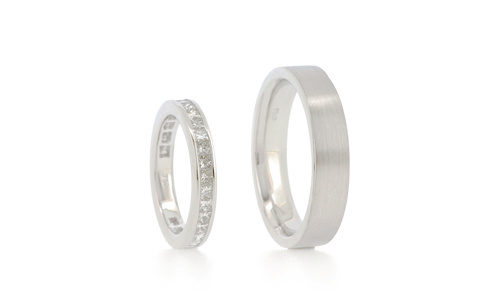 As you can see, the options are endless when you open up to the idea of matching rather than identical wedding rings. As they say, opposites attract, and these are examples of how stunning different designs can look together. It also means that one party does not need to compromise on their wishes, as you can both get the design that you like. 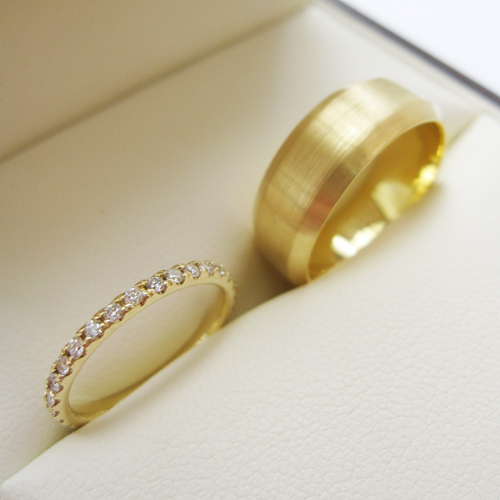 Why do People want Matching Wedding Rings?